Lena Horne, once a resident of Horn Avenue. In celebration of February’s Black History Month, the U.S. 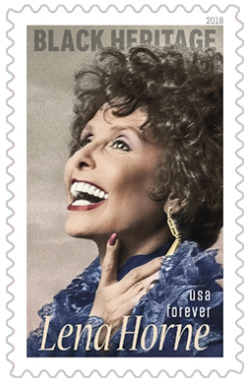 Postal Service has issued a stamp honoring singer, actress, civil-rights activist and former West Hollywood resident Lena Horne. Her big break – the break that made that MGM contract possible – came in 1942, when she was 25 years old and living on Horn Avenue in West Hollywood. In January, just six weeks after the bombing at Pearl Harbor, she made her debut before a packed audience of Hollywood A-listers and studio executives at Little Troc, a nightclub on the Sunset Strip. A New York Times columnist later described the indelible impression Horne made that night, recalling that she stepped from darkness into a single soft spotlight, and then, without introduction, launched into “The Man I Love,” followed by “Stormy Weather” and six more standards. After her set, “The crowd got chestnut happy,” the columnist wrote. “They whistled for more.” Within weeks, an MGM exec who had been in the audience that night had signed Horne to a long-term contract. Lena Mary Calhoun Horne was born on June 30, 1917, in Brooklyn. Her ancestors were descendants of the family of John C. Calhoun, a U.S. senator from South Carolina who also served as vice president under President John Quincy Adams. Because of this pedigree, Horne’s forebears had received educations and enjoyed other privileges not available to most non-whites in that era. She began her career as a dancer at Harlem’s Cotton Club and later toured the country as the featured vocalist with jazz orchestras. Deeply disturbed by the racism she encountered on the road, Horne returned to New York and played the nightclub circuit. In early 1941 Sunset Strip impresario Felix Young caught her show at Café Society in Greenwich Village. He hired her on the spot to be his opening act at Little Troc. But even as she basked in this sudden success Horne found herself confronted by Jim Crow, Hollywood style. At a party at Cole Porter’s house, Greta Garbo swooned over her, but Miriam Hopkins, a native of Savannah, took Horne aside and asked her why she was “not like all the other [blacks]” who were restricted from socializing with whites. Horne was even confronted by Jim Crow at her home in West Hollywood. “A few neighbors objected so strenuously to the presence of an African-American family in their midst that they circulated a petition to force them out,” Lumet wrote in her memoir, “The Hornes: An American Family.” It was quickly quashed by Humphrey Bogart and his wife, Mayo Methot, who lived at the corner of Horn and Shoreham, and their friend, Peter Lorre, who lived a few doors down from Horne’s house. Another episode revealed the absurdity of Hollywood racism. When MGM was casting the musical “Showboat,” Horne was considered a shoo-in for the role of Julie La Verne, a mixed race singer. But because the role was integral to the story, Julie’s scenes could not be excised for Southern moviegoers. The part was given instead to Horne’s friend Ava Gardner, whose singing had to be dubbed. As her clout grew in the 1940s, Horne began suing restaurants and theaters that refused service to black people. In the 1950s, after she joined a civil rights group, she was blacklisted in Hollywood. In the 1960s, she toured the country on behalf of the NAACP and took part in the March on Washington led by Dr. Martin Luther King. Over the course of her long career, Lena Horne won three Grammys and a Tony for her one-woman show, “Lena Horne: The Lady and Her Music.” She also received the NAACP Spingarn Medal and the Actors Equity Paul Robeson Award. She was a Kennedy Center Honors recipient in 1984, and is included in the International Civil Rights Walk of Fame at the Martin Luther King, Jr. National Historic Site. 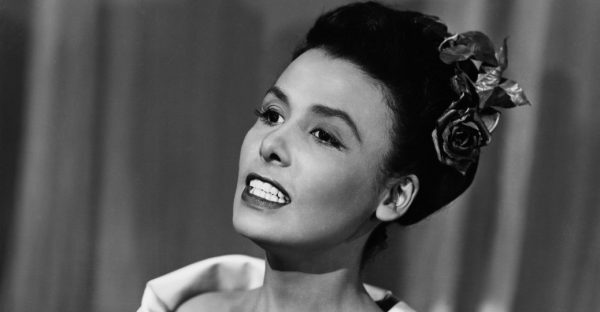 Lena Horne died of heart failure on May 9, 2010, in New York City. She was 93. 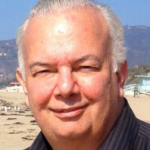 Jon Ponder is a creator of the podcast series, "Hollywood & Crime," as well as the editor of the Sunset Strip history website, Playground to the Stars. He is a co-founder of the Alla Nazimova Society and a member of the board of the West Hollywood Preservation Alliance. Ponder is currently working on creating a virtual museum of the history of West Hollywood.